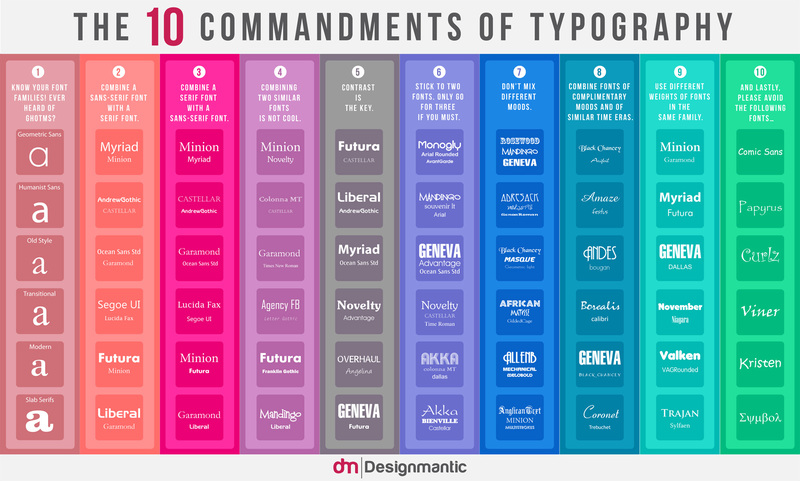 For a beginning typography student, these are wonderful rules to remember. Good combinations of font styles reinforce your messaging and bring compositions to life. Breaking the rules often results in monotony or too much embellishment.